The Western Slope is a treasure trove. I’ve lived in Colorado since middle school and had never visited the Western Slope, as we call it. Grand Junction was always just a gas stop on the way to the National Parks in Utah. This past week, my husband and I decided it was high time to explore the region. If you’ve limited your Colorado trips (or potential trips) to Denver and the ski resort towns, you’ve missed a side of Colorado that we want to visit over and over. In just over four hours, we drove on I-70 from east Denver to Grand Junction, enjoying brilliant golden aspen tree displays. Mid to late September is the peak aspen season, but it’s a dramatic drive any time of year. There also is a full-service airport with one-stop flights from St. Louis. The lush, fertile region known as the Grand Valley has many award-winning wineries, succulent peaches and other fruits and striking Western high-desert landscapes. 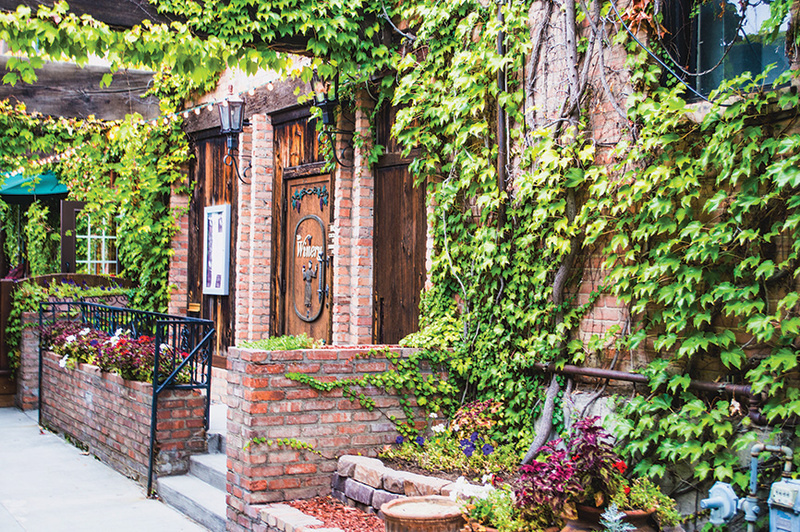 We discovered that this foodie-friendly area has outstanding dining (with mostly locally sourced and grown products,) wines and meads, handcrafted Enstrom’s chocolate-covered toffee, a distillery, craft brewery, lavender farm and charming neighborhoods just perfect for relaxing strolls. Oh, and those late summer Palisade peaches — they’d rival any from Georgia. 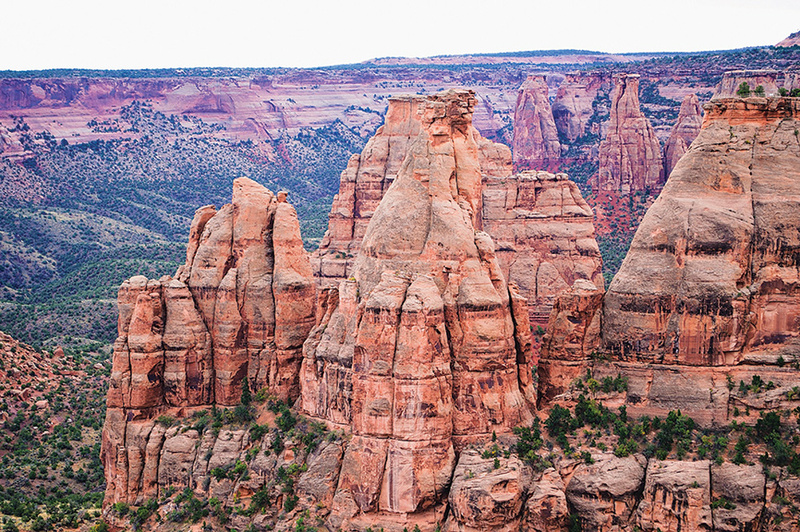 The Colorado National Monument, part of the National Park Service, is a gloriously beautiful wilderness park, with 23,000 acres of striped-orange and red-rock wonderland, towering monoliths, staggeringly steep cliffs and drop-offs and high-desert drama, replete with plenty of wildlife. As we left the park, lamenting sorely that we had run out of time, a group of bighorn sheep crossed right in front of us. We think the Monument is sadly misnomered — leading many to think it just a building, rather than the spectacular park that it is. 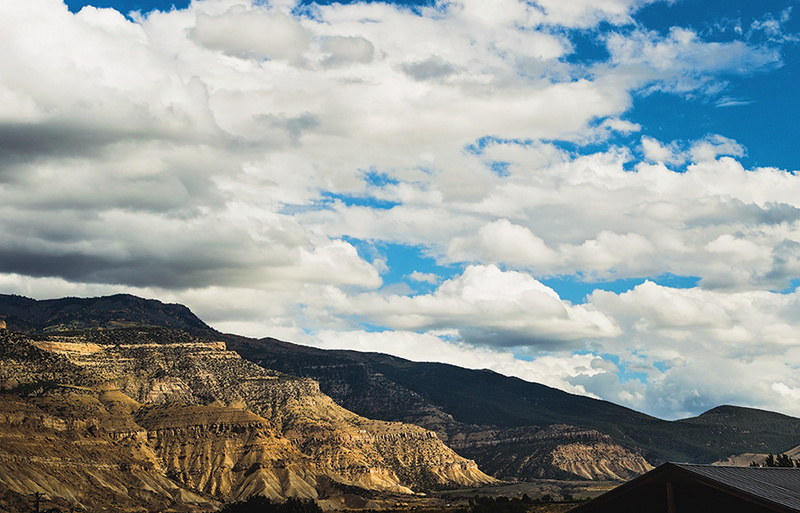 Just 15 minutes from the west side of Grand Junction, this is a must-see. Palisades and environs are known as Colorado Wine Country, with two thirds of the state’s vineyards. This is no Napa; here, most samplings are free, and a full 13-wine tasting costs $6! The wineries, open year-round, are friendly and unpretentious and staffers are eager to chat. The multi-award-winning Plum Creek, the oldest in Colorado, started in 1984. Most wineries are close together, so that folks often visit them by bicycle tour or solo rentals; even electric bikes are available (www.Rapidcreekcycles.com). Palisades is a delightful little town well worth a mosey. We found a hidden rose garden and even the town library sports a grape arbor. This getaway is a world away from the Front Range bustle and offers visitors a Colorado well worth knowing. It’s also within easy distance of other destinations, such as Moab, Utah; Aspen, Telluride and Montrose.